A design I came up with in 2003 but has been modified recently. Original version was shown on Discovery Channel on "Monster Garage." I was on a show as a designer on the "Slingray episode." 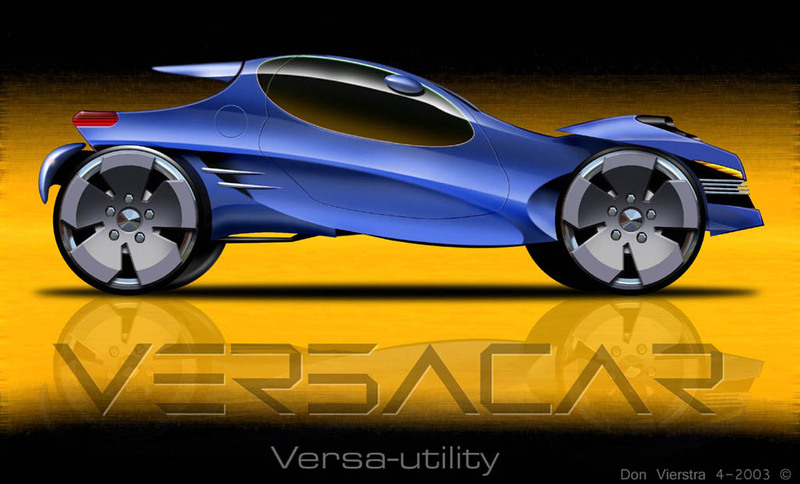 Versatile car-can be transformed from a car, to a truck and then into a marine vehicle.